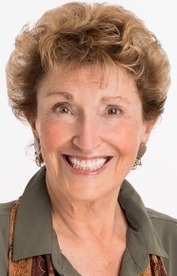 An executive coach and consultant with the Institute for Women’s Leadership, Judith is also CEO of Brains at Work: a design, development and consulting company with Fortune 500 and governmental agency clients. Her background – 20+ years in talent development, five years in corporate finance, and a decade with NGOs – developed her extensive skills in analysis, assessment, and performance improvement. Judith brings to IWL a deep interest in professional development, inclusion, and diversity, especially for IWL’s Gender Partnerships initiatives. Her inquiries provide direction and depth for clients’ initiatives. Developed the first national curriculum for Environmental Justice* for the Environmental Protection Agency. This course resulted in cultural and behavioral change over many years’ time for federal employees, states, local governments, tribes, neighborhoods, activists,and industry. Served as Executive Director of Oakland-Sharing the Vision, a community-based strategic-planning project involving 2,000 volunteers from neighborhoods, government, and business. The innovations of the plan proved significant, and in 1993, Judith won for Oakland the All-America City award, the oldest community-recognition program in the nation. Was an early adopter and practitioner of blending media, meetings, workshops, writing, collaboration, and creative problem-solving as a means of effecting broad-reaching organizational change. She also developed templates for aiding engagement and intrinsic motivation across communication channels by tapping each participant’s natural abilities to process information. Designed and deployed global quality program for Bobcat Ingersoll Rand using the principles of Accelerated Learning for Team Optimized Process Strategies. Presenter and author in talent development and management forums. Coach and mentor for hundreds of managers, developing leaders, change agents, facilitators, and trainers. Human Resources Manager for Africa USA, providing wild animal actors for Hollywood. Co-founder and lead singer for the first women’s rock band, Raw Honey.